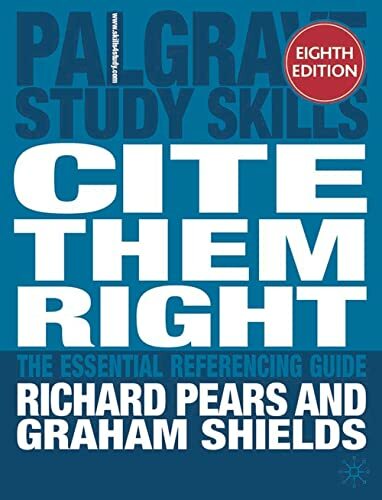 This book is renowned as the most comprehensive yet easy-to-use guide to referencing available. Tutors rely on the advice to guide their students in the skills of identifying and referencing information sources and avoiding plagiarism. Refworks is designed to help manage and generate citations and bibliographies. Register (for free) whilst on a University computer with your username and password. After that you can log-in anywhere. The full citation guide from Harvard. Uses Harvard. See Essay Writing and Referencing guide under Useful Links. Uses Harvard. See Essay Writing and Referencing guide under Writing and Submitting Your Work. This guide is produced by Harvard Business School. It is a guide but can help you formulate citations for unusual resources. If you are new to RefWorks, please create an account on New Refworks. Web-based reference management software which helps you to record and organise your bibliographic references, and create bibliographies in different formats. is web-based software and can be used to transport your EndNote library, but is also available to all college members through the college's subscription. A computer with EndNote installed is not required to use EndNote Basic. directly import references from Library journals databases (e.g Web of Science) and library catalogues including Royal Holloway’s and the British Library. The latest version of EndNote is installed on all the machines in the student PC Labs. Copyright protects all original works: essays, novels, poems, photographs, music, and many more. It protects the author's right to decide how their work is used, and places restrictions on re-use of any original work, or part of. 5% or one chapter of a book, whichever is the greater. 5% or one whole article from a journal, whichever is the greater. 5% or one whole paper from a set of conference proceedings or published report of judicial proceedings, whichever is the greater. 5% of an anthology of short stories or poems; or one short story or one poem of no more than 10 pages, whichever is the greater. Broadcasting/using sections of recorded material (video, audio, or both) is permitted for educational purposes - including examination ie. using clips in a film submitted for your dissertation. However, always cite your quotations, as you would with written material. For more information, please see the Library's copyright webpages.